New York-Presbyterian Hospital in New York City, New York, U.S.
Dillon was born in Geneva, Switzerland, the son of American parents, Anne McEldin (Douglass) and financier Clarence Dillon. Although Dillon grew up as a patrician, his paternal grandfather, Samuel Lapowski, was a poor Jewish immigrant from Poland. After leaving Poland, his grandfather settled in Texas after the American Civil War and married Dillon's Swedish-American grandmother. Dillon's father later changed his family name to Dillon, his grandmother's maiden name. Dillon's mother was descended from Grahams Lairds of Tamrawer Castle at Kilsyth, Stirling, Scotland. 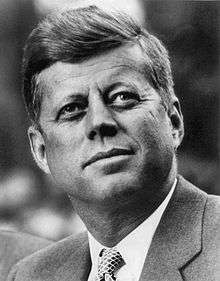 In 1961, John F. Kennedy, a Democrat, appointed Republican, Dillon Treasury Secretary. 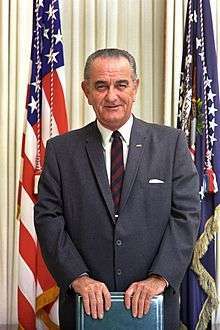 Dillon remained Treasury Secretary under President Lyndon B. Johnson until 1965. 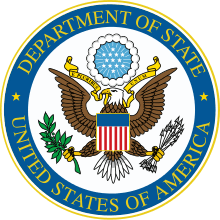 Dillon proposed the fifth round of tariff negotiations under the General Agreement on Tariffs and Trade (GATT), conducted in Geneva 1960–1962; it came to be called the "Dillon Round" and led to substantial tariff reduction. Dillon was important in securing presidential power for reciprocal tariff reductions under the Trade Expansion Act of 1962. He also played a role in crafting the Revenue Act of 1962, which established a 7 percent investment credit to spur industrial growth. He supervised revision of depreciation rules to benefit corporate investment. A close friend of John D. Rockefeller III, he was chairman of the Rockefeller Foundation from 1972 to 1975. He also served alongside John Rockefeller on the 1973 Commission on Private Philanthropy and Public Needs, and under Nelson Rockefeller in the Rockefeller Commission to investigate CIA activities (along with Ronald Reagan). He had been president of Harvard Board of Overseers, chairman of the Brookings Institution, and vice chairman of the Council on Foreign Relations. Joan Douglas Dillon (born New York City, New York, January 31, 1935). She first married in Paris on August 1, 1953, divorced in Washoe County, Nevada, on December 12, 1955 and annulled in Rome on June 22, 1963, James Brady Moseley (born in New York City, New York, May 22, 1931 – died in Boston, Suffolk County, Massachusetts, April 9, 1998), son of Frederick S. Moseley, Jr. and his wife Jane H. Brady, they had one daughter: Joan Dillon Moseley (born February 6, 1954). She then married for the second time, at St. Edward's in Sutton Park, Guildford, Surrey, on March 1, 1967, Prince Charles of Luxembourg (1927–1977), and had one daughter and one son: Princess Charlotte (born September 15, 1967) and Prince Robert (born August 14, 1968). Widowed, she married for the third time, in Islesboro, Maine, on August 3, 1978, Philippe-François-Armand-Marie, 8th duc de Mouchy, without issue. 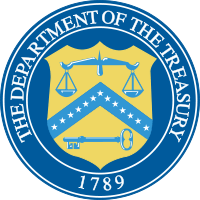 1 2 3 "C. Douglas Dillon, former Treasury secretary and Harvard overseer, dies at 93". Harvard Gazette. Harvard University news office. January 16, 2003. Retrieved 2009-03-27. 1 2 3 4 Eric Pace (January 12, 2003). 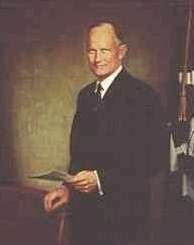 "C. Douglas Dillon Dies at 93; Was in Kennedy Cabinet". The New York Times. Retrieved 2009-03-27. ↑ "C. Douglas Dillon". John F. Kennedy Presidential Library. ↑ Finding aid for the George Trescher records related to The Metropolitan Museum of Art Centennial, 1949, 1960-1971 (bulk 1967-1970). The Metropolitan Museum of Art. Retrieved 5 August 2014. Robert C. Perez and Edward F. Willett, Clarence Dillon: A Wall Street Enigma (1995), a biography of Dillon’s father.